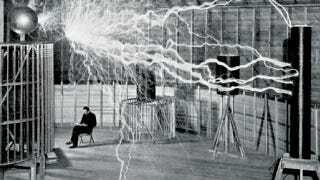 What Is the Best Nikola Tesla Biography? Our Special Projects Editor Chris Mascari is on something of a Nikola Tesla kick right now, but isn't sure what biography is the best one to sate his curiosity about the physicist/engineer/inventor. We figured we'd ask you, the readers to help us out on this one. So, what's your favorite Tesla bio?